The MimioProjector 320LT features the ultra-short throw technology that does not let light beam shone into the eyes of the presenter. The MimioProjector 320LT displays 85” to 115” diagonal projected image size with 3,300 lumens of brightness and brilliant colour reproduction with 1.07 billon colours. Using a digital light processing technology (6-segment colour wheel) for projection of images, the 320LT promises sharp, vivid and intuitive projected display. The innovative feature of this MimioProjector series is its laser projection. The 320LT features a laser projection technology that replaces the traditional lamp and gives up to 20,000 hours of laser life. The 320LT model features a laser curtain module that allows easy touch navigation without needing a stylus. Furthermore, this projector features up to 10 point of touch interactivity which allows large scale student collaboration in a classroom. The collaborative learning feature is further enhanced by the MimioStudio software that can easily run on computers supporting Windows, Mac, or Linux OS. Furthermore, it features numerous analog and digital ports such as the HDMI, VGA, USB that allows easy connectivity options with external media and computers. Additionally, Mimio provides a wall mount but also provides an option for ceiling or table top mount that needs to be bought separately. 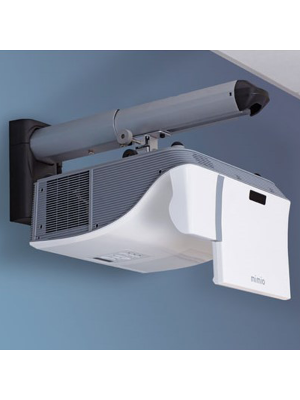 With its superb projection quality and great connectivity options along with the interactive software, the MimioProjector 320LT is the ideal classroom companion for creative learning. Q: Can the MimioProjector 320Lt upport multiple users? Q: What is the main difference between the 320Lt and 320Li models? A: The 320Lt model accepts commands from both, the interactive stylus and the user’s fingers. On the other hand, 320Li projectors can only recognize the inputs from the included stylus. Q: What qualities give MimioProjector an edge over its competitors? A: All MimioProjector models are the best interactive choice for your classroom. They incorporate the latest laser technology that gives the brightest and most vibrant images. Their astonishing brightness of 3300 Lumens is also an added attraction. 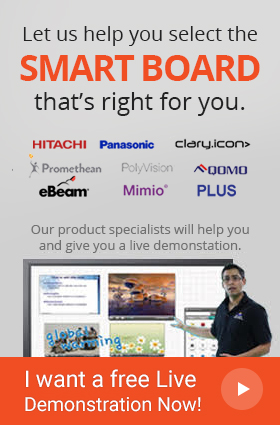 Q: Which operating systems are supported by MimioProjector 320Lt? A: The Projector is compatible with Windows, Mac and Linux operating systems. Q: Does MimioProjector 320Lt come with a warranty? A: Yes, the Interactive Projector comes with a 2 – year international warranty.